Whether you have a tiny chip or a large crack in your vehicle's windows, The Glassman in Swansea, Massachusetts, offers top-quality chip repair and auto glass replacement services. Whether it's a front windshield, rear windshield, driver window, passenger window, quarter panel or any other glass for a car or truck, The Glassman can repair or replace it. Don't let that crack in your windshield obstruct your view any longer. While it may seem like a minor inconvenience, a windshield crack or chip is a dangerous safety issue that needs to be taken care of right away. The Glassman will make the auto glass repair/replacement process as fast and hassle-free as possible for you. The Glassman has been servicing the Southeastern Massachusetts area and the entire state of Rhode Island for almost 20 years. Expert workmanship and friendly customer service is guaranteed with every job. From chip repair to full glass replacement, The Glassman can do it all! The Glassman Always Delivers High-Quality Auto Glass Services! 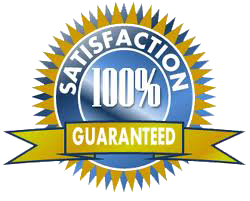 100% Customer Satisfaction is Always Guaranteed! Please complete the form below and The Glassman will respond with a free auto glass estimate shortly!